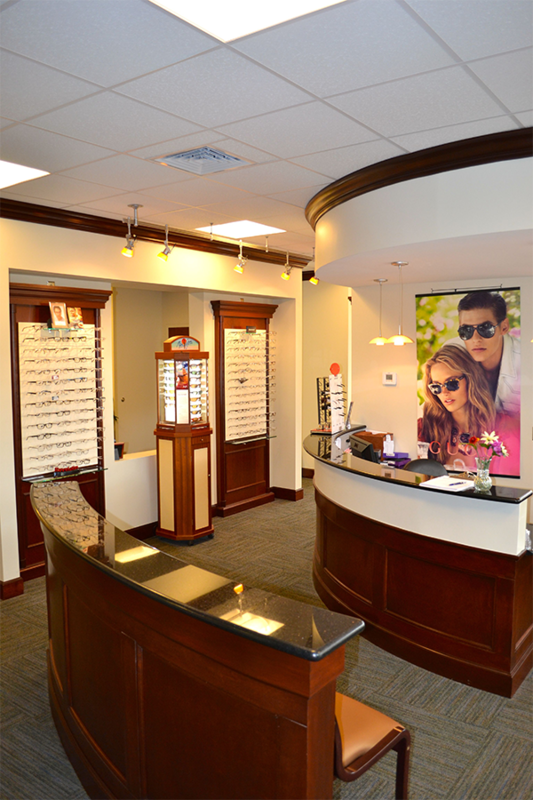 After your exam, stop by our full-service optical boutique. Our licensed opticians specialize in face shape, coloring and vision needs. We have a wide variety of over 700 designer frames. Prescription and lifestyle are always discussed to ensure we are meeting your expectations and visual comfort. Prices start at $129.00 for a complete pair, with frame and single vision lens. We offer popular designer eyewear including Adidas, Coach, Ray Bans, Oakley, Gucci, Kate Spade, Maui Jims (sunglasses only) and Silhouettes (eyeglasses only). We accept most vision plans and offer discounts for private pay patients. If you’re interested in contact lenses, our technicians are trained in the latest technology. We have all brands available and will fit you in the appropriate contacts to suit your visual needs. Yearly exams, renewals, fit and teach are separate from a routine eye exam. We are always available for free adjustments and cleaning, stop by and allow us to serve you. Our Optical Shop has a wide variety of eyeglasses and sunglasses. One of the best vision centers serving the Hampton Roads area in Virginia as well as Currituck, Elizabeth City of North Carolina.